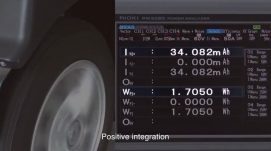 The Hioki PW3390 Power Analyzer is extremely effective in evaluating the fuel performance of automobiles, including in accordance with the Worldwide Harmonized Light vehicles Test Procedure (WLTP). Pair with Hioki high accuracy current clamp sensors to achieve high accuracy measurements even within hot engine compartments. Previous PostPrevious Happy 52nd Birthday Singapore!